Sierra Nevada recently sent out their 4-Way IPA Variety 12-Pack. Usually I only buy those packs if I'm sure that I will like at least three of the four beers. Torpedo is the only beer I had tried from this one. But you know what? 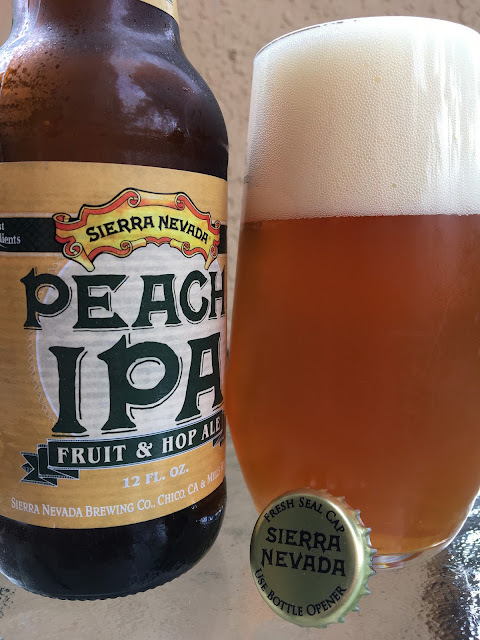 Despite Black IPAs not being a favorite style, Peach IPA and German-Style IPA and the fact that Sierra Nevada owns this category were easy reasons to grab it. 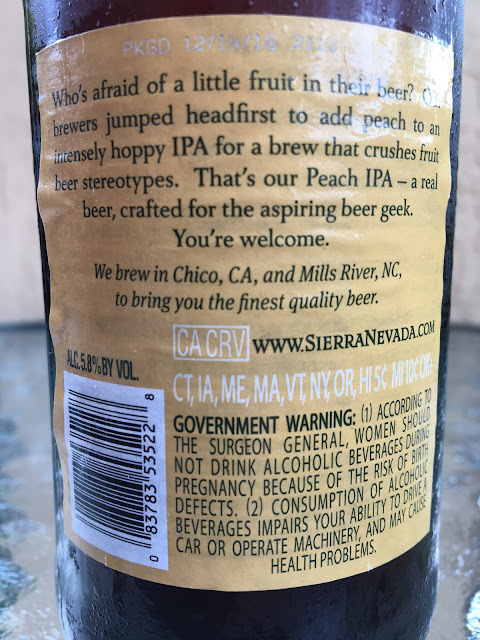 I started with Peach IPA, a beer that the label says had Sierra Nevada's brewers "jumping headfirst to add peach to an intensely hoppy IPA." Crushing fruit beer stereotypes was the goal! 5.8% alcohol. Very nice peach aroma, a little spicy with citrus, hoppy, juicy. Juicy flavors to start as well. Very much an excellent IPA first, nice spiciness and bitterness and plenty of citrus, zesty. But the peach is definitely a very noticeable contributor, adding the perfect amount of sweet balance and interest!